My roommate is a veteran. He served six years in the Navy during the early 1990's and received an honorable discharge. For over 20 years, he didn't need the services provided by the Department of Veterans Affairs, but when he did need the VA, they were there for him. Only problem is, he has to travel to a run down part of Indianapolis every time he has an appointment or needs emergency medical care. This is the case for many veterans. 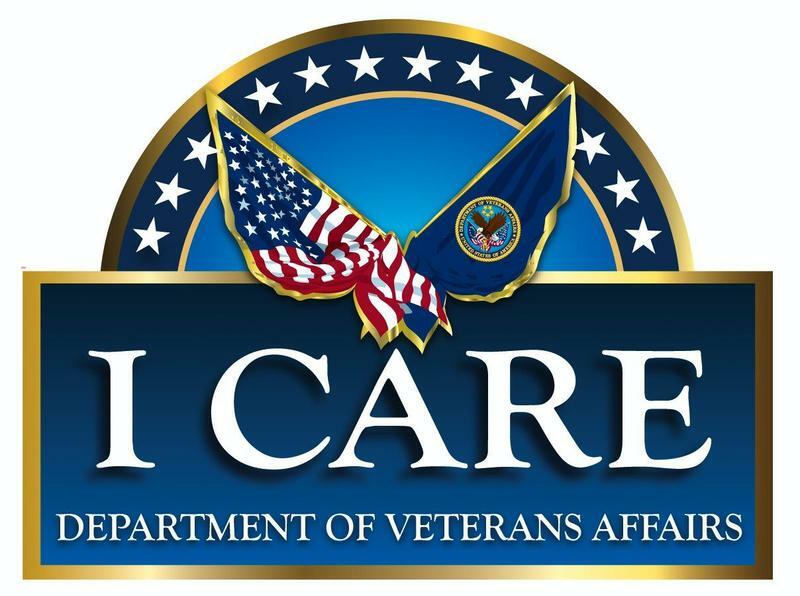 They have to travel to hearts of cities around the nation to receive the services provided by the VA, unless they live more than 40 miles driving distance from the nearest VA hospital. If they do live more than 40 miles away, veterans are able to avail themselves of their local doctors. Since my roommate and I do not live over 40 miles away, he has to make the trek. 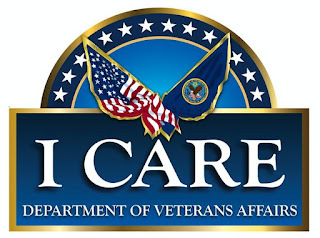 Of course, the VA doesn't offer just medical care to our veterans. It also provides job hunting services, mental health counseling and many other services. These services, no matter the distance, are only provided at the central VA centers. Sadly, the VA does not provide for vision or dental. My roommate would like to be able to see a doctor and/or psychiatrist that is closer to home, but due to the travel restriction (and not having any other health insurance), he can't. He must travel to the VA hospital for those services. This is not to say that my roommate is unhappy about the services he has received from the VA. Quite the contrary. He is very happy, but would like to not have to travel 45 minutes one way to get them. In our discussions, we have come to agree that the VA needs the ability to offer all veterans the ability to see the doctor of their choice closer to home. We both feel the need for a VA specific Medicare/Medicaid type program where all he needs to do is to provide a VA issued insurance card to a doctor and he gets the care he needs. This would allow millions of veterans to see doctors in a timely manner while also I think saving time and money. The VA hospitals will still be available but supplemented by tens of thousands of health care professionals around the nation. Let me know in the comments below if you think this is a good idea and whether or not you are willing to contact your Senators and Representative to get this legislation moving. 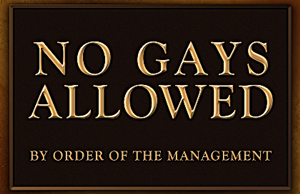 Imagine going to a restaurant and finding a sign that reads "No Gays Allowed". One would think we were back in the 1950s where signs reading "No Blacks Allowed" were commonly seen. The problem is, we don't have to imagine it as states such as Indiana, Arkansas, North Carolina and Mississippi have passed "religious freedom" laws that basically give individuals, businesses, organizations and religiously associated groups the ability to hang "No Gays Allowed" signs outside their doors. These so called "religious liberty" laws give license to discriminate against members of the LGBTQ community without legal repercussion all because of "religious views" of the person doing the discriminating. Of course, those who want these laws on the books all claim that they are being "persecuted" for having "Christian" views. So, to battle this so called persecution, they want the ability to tell LGTBQ persons that their business is not welcome. In these states, it is perfectly legal to deny employment to someone who is LGBTQ. They are also able to deny public services, lodging, housing and in North Carolina & Mississippi, government services. All legal, as long as you hold a "religious belief" that LGBTQ people are bad. We won the fight for marriage equality. Now is the time to fight for equal rights across the board. For the better part of a century, our nation has fought a never ending war on drugs and losing. This war has cost taxpayers untold billions of dollars with no visible positive affects. Instead, the affects have been negative. We have imprisoned hundreds of thousands and built even more prisons to house them. We have militarized our police. We have also brought about the rise of the deadly drug cartels of Mexico as well as Central and South America with our anti-drug policies. One of the easiest ways to end, or at least curtail, this never ending "war" is to legalize, regulate and tax marijuana. I have never partaken of marijuana nor do I have any plans to. Oh, the thought has crossed my mind, especially as a way to deal with my manic-depression, anxiety and PTSD. But I have never smoked or ingested marijuana. Millions of Americans do, whether recreationally or for medical purposes. Many states have legalized the medical use of marijuana while three states have legalized it for recreational purposes. But on the Federal level, it is still illegal and thus even in these states that legalized its use, users of marijuana are subject to arrest by the DEA. Now, there is some movement in Congress to decriminalize marijuana and to allow the states to legalize, regulated and tax marijuana. I am very hopeful this occurs and our nation's resources can be better used in shoring up our social safety net. States are able to use the extra taxes generated and the money saved to pay for public education and other services their residents want. Legalization, regulation and taxation of marijuana is a win for all. We get to demilitarize our police, stop incarcerating hundreds of thousands, raise hundreds of millions in new taxes and save billions in ineffective enforcement. We also get to start breaking up the drug cartels. Now, if only our politicians could see the light. We Now Have Marriage Equality, What's Next? On June 26th, 2015, the Supreme Court of the United States (SCOTUS) said marriage equality was enshrined in our Constitution. Nationwide gays and lesbians are now able to enter into marriages with the person they love and have that marriage recognized in all 50 states as well in our various territories and protectorates. It was a long, decades long struggle, but it is now accomplished. The question is: What is next for the LGBT community? Top of my list is a national Employment Non-Discrimination Act (ENDA) that would prohibit the firing of gays just for being gay. In many states around the nation, it is perfectly legal to not hire or to fire someone for being gay. In some of those states, such as Indiana, various jurisdictions have non-discrimination ordinances on the books, but can be overridden, as in Arkansas, by the states' legislatures. There is one simple solution to this patchwork quilt of workplace protections: A national ENDA. For years ENDA has languished in Congress, even when Democrats controlled both chambers. We now need to devote our energies to passing ENDA (without "religious freedom" exemptions). Once ENDA is passed and signed into law, we can move onto housing protections. It may even be possible to do both at once. Simply by adding sexual orientation to the national non-discrimination laws would protect us not only in the workplace but also in our homes. Will This Truly Be The Month of Pride? June is historically the month celebrated by the LGBT community as "Pride Month". This celebration of the LGBT community goes back to the Stonewall Riots of 1969. 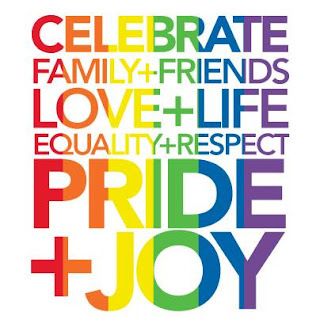 These celebrations of pride in our community have evolved into parades and all day events in towns and cities around the world. This year, 2015, holds a special significance here in the United States as SCOTUS (The Supreme Court of the United States) has before it a number of cases out of the 6th Circuit Court of Appeals dealing with marriage equality. The Court has yet to hand down its ruling and is not expected to do so until late in the month on its closing day of the session. This is normal for especially contentious issues before SCOTUS. But as the decision lands in the month of June, the question in my mind is will this month be a truly pride full month with a decision that makes marriage equality the law of the land. Or, will SCOTUS make this month one of sorrow? Copyright 2010 - 2016 TJM Westfield LLC. All Rights Reserved. Simple theme. Theme images by Airyelf. Powered by Blogger.